Don’t miss out on the MPH sale happening now at Empire City Damansara. Book-lovers will be spoilt for choice with the various promotions available at the sale, including discounts of up to 70% and Buy 1 Free 1 deals. Prices drop as low as RM2, and shoppers will enjoy these amazing offers on a wide array of books, ranging from novels to cookbooks and school workbooks. Keep your children entertained this school holiday as well with the walk-in children’s workshops at the sale, such as a Faber Castell Tack-It activity and a My Little Pony Treasure Hunt. The sale is on daily from 10am to 8pm, until Oct 29. Empire City Damansara is located along the LDP in Jalan PJU 8/1, Damansara Perdana, Petaling Jaya, Selangor. Students can bring along their KADS1M student debit card to enjoy its benefits at the sale. A bookworm’s perfect day is spent mesmerised by a good book, with a cup of coffee within reach. Make this happen at the newest BookXcess outlet, also one of its largest, at new Damansara Uptown mall, The Starling. Packed on its shelves is an “xcess” of both fiction and non-fiction books, all available at the chain store’s notorious discounts of 50% to 80% off retail prices. But what truly stands out about this particular outlet is the in-house Madeleine Café, where patrons can enjoy a cup of coffee or tea or snack on croissants or waffles as they read. This is surely the place to go for food for both the mind and the belly. The Starling is located in Jalan SS21/37, Damansara Utama, Petaling Jaya, Selangor. 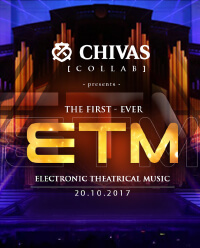 This year, Chivas Collab, a string of events and performances throughout the nation organised by Chivas Regal Malaysia, presents ETM: Electronic Theatrical Music. The first of its kind, the ETM club performance promises to wow partygoers with a rich blend of modern artistry, featuring the likes of violinist Robert Mendoza, DJ Joey G, and street dancer/YouTuber Dennis Yin. Other names involved include singer Joy Shavini Victor and acrobatic dancer Jane Victor Solberg. ETM kicks off its tour of the nation tonight at Envy Nightlife KL with the first of three ETM Signature parties, before heading to Penang next week and to Johor in December. The party starts at 11pm, and is open to the public for those aged 21 years and above, with complimentary drinks for all. Envy Nightlife is on the ground floor of the Federal Arcade, The Federal Hotel, Bukit Bintang, Kuala Lumpur. For more information or to RSVP, call (011) 1287 9327. Enjoy good music while giving back to society with Sanmaarga, a fundraising music extravaganza hosted by the Temple of Fine Arts. In conjunction with Deepavali, this performance is the result of the temple’s initiative to expand its non-profit SivaSanta Dialysis and Medical Clinic. The concert is the culmination of a collaborative effort between Padmabhushan Sangita Kalanidhi Dr T V Gopalakrishnan and several other artists, including Devie Neithiyar, Biju Paulose and Carola Grey. The event will also feature guest performances by several local artists. 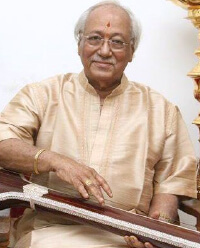 In line with Dr T V Gopalakrishnan’s vision to play universal music that speaks to all, regardless of age or language, the concert blends together the sounds of the East and the West, making Sanmaarga a celebration of more than just Indian classical music. Sanmaarga will be held at 7pm tomorrow and on Sunday, with refreshments at 6pm, at the Shantanand Auditorium of the Temple of Fine Arts. Admission to the performance is by donation of RM200, RM150 and RM50. The Temple of Fine Arts is located in Jalan Berhala, Brickfields, Kuala Lumpur. For more information, call (03) 2274 3709. Head over to the Dewan Filharmonik Petronas at the KLCC for a soulful classical music performance this weekend. A collaboration between the Malaysian Philharmonic Orchestra, the Malaysian Philharmonic Youth Orchestra, and the Embassy of the Bolivarian Republic of Venezuela, this concert presents some of the most notable pieces in musical history, led by conductor Joshua Dos Santos. The first half of the show features tenor Carlos Silva, and is dedicated to famous excerpts from six landmark operas and musicals, including Nessun Dorma from Puccini’s masterpiece Turandot and Maria from Bernstein’s West Side Story. After the intermission, the orchestra delves into Tchaikovsky’s four-movement Symphony No 4 in F minor, the acclaimed Russian composer’s tribute to fate and destiny. The first show will be held at 8.30pm tomorrow, followed by a matinee show at 3pm on Sunday. Tickets are available online from RM60 to RM150, visit www.mpo.com.my for bookings or more information. The Un Yamada Project 2017: “People Without Seasons” sees Japanese dancer and choreographer Un Yamada merge dancers from Japan and Malaysia together into one cast for a special Malaysian rendition of the original production, first performed in Japan in 2012. Inspired by Shugoro Yamamoto’s book The Town Without Seasons, this piece explores human emotion though a dynamic blend of contemporary dance and theatrical elements, set to Beethoven’s Symphony No 9. Led by Un Yamada herself, alongside Malaysian dancers Fauzi Amirudin and Jabar Laura, who featured in the first run of the production earlier this year in Japan, the dancers from Co Un Yamada and the local arts and culture academy ASWARA bring this performance to life half a century after Yamamoto’s death. The show debuts tonight at 8.30pm at the Kuala Lumpur Performing Arts Centre, with two more shows to be held over the weekend. For ticket pricings and bookings, visit www.klpac.org. Drop by Ben’s Independent Grocer at the newly renovated IPC Shopping Centre. The newly opened outlet, similar in layout to its flagship store in Publika, brings in quality goods both local and imported. What makes this particular outlet stand out from the typical supermarket, though, is the way it takes the grocery experience to new heights with its multiple in-store restaurants. Hungry shoppers can stop for a bite of pastries from its bakery Crumbs, or satisfy larger appetites with the pizzas and salads at The Grocer’s Kitchen. The Vietnamese eatery I Love Pho from Australia serves its noodles and spring rolls exclusively at BIG, and shoppers can visit the cooking demo booth Masak-Masak to pick up on recipes and culinary tips. This, and much more awaits you at Ben’s Independent Grocer on the lower ground floor of IPC Shopping Centre, which is in Jalan PJU7/2, Mutiara Damansara, Petaling Jaya, Selangor. BIG is open daily from 10am to 10pm. Fans of Japanese noodles are in for a delicious new venture at Mitsuyado Seimen with its specialty tsukemen. Somewhat of a combination of familiar concepts of hot-broth ramen and cold soba noodles dipped in soy-based sauce, a tsukemen dish typically consists of separate bowls of cold noodles and hot dipping broth. 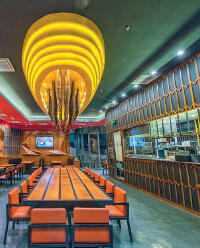 For those who prefer to stick to the familiar, the restaurant also offers interesting renditions of the typical ramen and rice dishes, alongside tempting side dishes like the Japanese potsticker gyoza. Mitsuyado Seimen is located at The Starling, which is in Jalan SS21/37, Damansara Utama, Petaling Jaya, Selangor. For further inquiries, call (03) 7662 5929. Troika Sky Dining’s casual fine restaurant, Strato, welcomes you to its weekly Sunday brunch. For RM120 per person, patrons have access to a delectable spread of antipasti, main courses and desserts, guaranteed to make you go “mamma mia!” in gustatory delight. 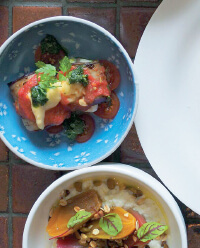 Highlights of the menu include squid tagliata with seaweed pesto and pickled pepperoncino, black mussel with white wine and fresh herbs, and candied almond tiramisu. 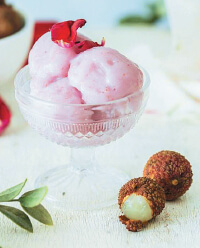 For big eaters, there is even more cause to rejoice, as seconds and thirds are offered for all dishes on the menu. The brunch menu is available every Sunday from noon to 3pm. Strato at Troika Sky Dining is located on Level 23A, Tower B, The Troika 19, Persiaran KLCC, Kuala Lumpur. For bookings or inquiries, call (03) 2162 0886 or visit www.troikaskydining.com.